FDRA's Sourcing Summit is a one day event on Tuesday, July 25, 2017. The event covers footwear product development, manufacturing, and factory compliance issues featuring presentations from industry leaders. Now only a few seats remain! U.S. footwear imports rose again in May, growing in volume and value terms for the sixth time in the last eight months. The volume of shipments reaching US shores in May rose a year-over-year 3.9%, owing to big gains from America's second- and third-largest foreign suppliers, Vietnam and Indonesia. Imports from largest-origins China (+0.1%), Vietnam (up 15.0%), and Indonesia (+19.8%) climbed again, while shipments from the rest of the world climbed a modest 2.9%. May marks the seventeenth straight month that imports from Vietnam grew faster than shipments from the rest of the world, implying Vietnam continues to expand its penetration into the US market in 2017, largely at the expense of Chinese suppliers. The first pie graph below shows China remains--by far--America's dominant footwear supplier. But while its year-to-date shipments are lower versus the first five months of 2016, Vietnamese shipments have grown, making the country the largest supplier of rubber/fabric footwear to the U.S. market this year, as the third pie below demonstrates. You can access the total footwear, children's, boot, and athletic import data for May. 2017 here. Please note: you will have to log into the FDRA system; then any link you click on in this newsletter will automatically come up for you. A current issue that catches our attention this month: The dollar. Since peaking in December following the presidential election on optimism for a soon-to-happen investment-led spurt in economic activity, the dollar has struggled. Washington appears mired in partisan wrangling, more focused on health care and the latest White House drama, rather than bipartisan efforts to spur the economy. The greenback has sagged each of the last six months and is on track to do so again in July. What's more, expectations for another two rate hikes later this year from the Federal Reserve--normally friendly to the dolllar--are all but dashed, following weak reports recently on the labor market and retail sales. Without these rate hikes, dollar bulls have less fodder to support their position. Indeed, the data released last week by the Commodity Futures Trading Commission (CFTC) reveal speculators slashed net long bets on the U.S. dollar to their lowest since May 2016, indicating the dollar has continued to lose steam from a speculative standpoint. By extension, dollar weakness may translate into eventual commodity strength and higher import prices, both unwelcome prospects for US footwear distributors and retailers. Click here to register for a user name and password. Cosco Shipping recently announced their intent to purchase OOCL for a price of 6.3 billion dollars. This transaction marks the 7th merger / business change for liner carriers in the last two years. Details of the transaction can be found in the following link . Despite these mergers and acquisitions, Gemini Shippers Group member companies remain well positioned to have a stable base of carrier choices and pricing without the associated risk of locked in contracting. We will continue to work with our members and carrier partners to ensure all enjoy the highest levels of service and rate stability. As always if you have any questions please contact the Gemini team. Reminder! Recognize Your Top Footwear Factories! 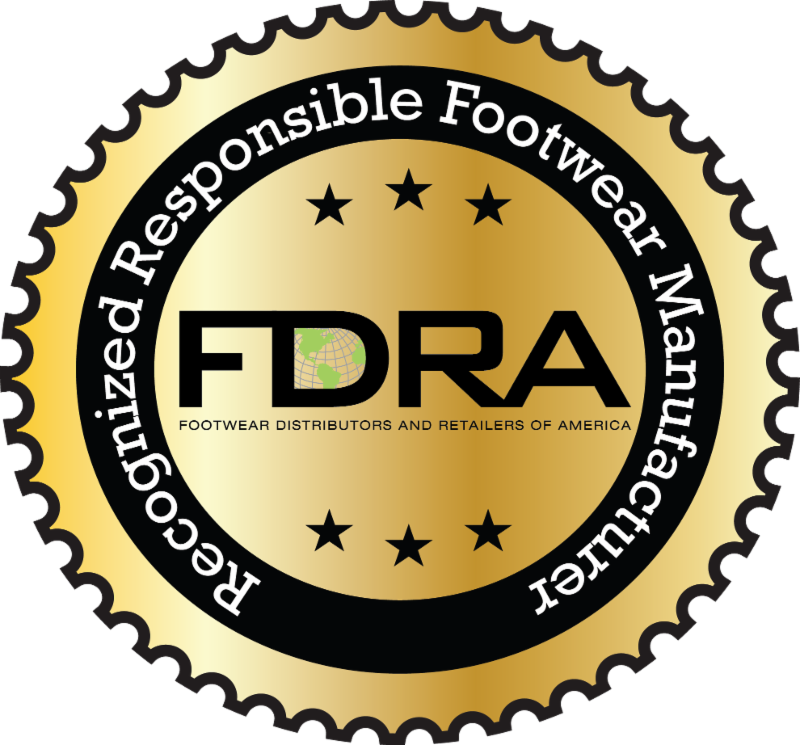 FDRA is now accepting applications from footwear companies, brands, and factories to award FDRAs Recognized Responsible Footwear Manufacturer designation to the top footwear factories around the globe. The recognition is part of FDRA's Responsible Factory Program (RFP) that focuses on enhancing social compliance standards industry wide by raising awareness and promoting factories that make social compliance a core component of their business. Last year eight factories were granted this special designation. Any company or brand wishing to recognize a factory they feel has worked continuously on compliance improvement can visit the RFP webpage to download the form or click here and submit it to FDRA by September 30th. Factory applications will be measured on a range of compliance issues. Those deemed to have followed the zero tolerance standards in FDRA's Code of Conduct and are working towards continuous improvement in other areas will be finalists for consideration. FDRA's Factory Enhancement & Sourcing Committee will review applications and award the recognition to the 2017 recipients later this year . Current Recognized Responsible Footwear Manufacturers can be found here. Please get involved by nominating your factories today! At NuShoe mold cleaning continues to be one of the top issues we are seeing when contacted by our footwear clients. This is a phone call or email that neither the brand nor the factory want to hear because of the health risk to customers and the impact of spreading to the rest of the distribution center if the infected footwear is not quarantined. Cleaning mold in a healthy, safe and thorough manner, to the point of zero returns, is a specialty service we have provided at NuShoe for many years. There is a misperception that mold cannot be cleaned from shoes, and in certain small instances this may be true, but for more than 90% of the inquires we receive, we can do the cleaning and restore the shoes back to full price salability. If that email or text alerting to you to a mold issue lands in your Inbox don't panic just remember NuShoe as the solution provider for mold cleaning. Contact NuShoe Eric Neuner or Jim Musial at the email or phone links below. We will ask to send photos and a case or two of contaminated footwear to our San Diego, CA. headquarters. 4. Proceed with the NuShoe exclusive cleaning method that is 100% proven successful. NuShoe remains committed to helping brands and factories find cost effective solutions to clean or repair products quickly to meet their current selling season. Our goal is to be the number one dispute resolution service provider in the industry by helping to minimize losses for both the factories or brands. Now in our 23th year NuShoe continues to build its client base through 100% satisfaction ratings coupled with the best pricing model in the business. NuShoe: Outsourcing all your 'back room' operations! OneSky is a global non-profit that has worked since 1998 to improve the lives of the world's most vulnerable children; children that are orphaned, left behind, unwanted, or otherwise inadequately cared for. We believe all children have value and by investing in the world's youngest and most vulnerable citizens we can halt the cycle of neglect and abuse that stunts the lives of so many. After two decades serving vulnerable children in China, this year OneSky proudly opens the doors of a new Early Learning and Training Center for the children of factory workers in the Hoa Khanh Industrial Park in Danang, Vietnam. This first-of-its-kind center will serve as a national model for addressing the increased prevalence of childcare issues in and around industrial zones and factories throughout Vietnam. In Vietnam today, there are 1.2 million children of factory workers laboring in 300 industrial parks. For children under three years old, there is no public childcare. For older children, state-run preschools are out of reach because most workers lack residency status to qualify or can't afford the fees. And parents have nowhere else to turn but to unlicensed, home-based daycare near. Over 4,000 cases of child abuse, neglect, and in some cases death, are reported each year coming from these unlicensed facilities. The OneSky Early Learning Center, and our program to train in-home daycare providers in best pratices, will offer factory workers a reliable, safe alternative for their children. OneSky's new Early Learning Center will open in September 2017 to serve 250 children ages six months to six years. The ELC will employ 65 staff members including teachers and nannies and serve as a base for training in-home day care providers in the surrounding area as well. This is OneSky's first step in developing a scalable and model that we envision will eventually reach the estimated 1.2 million children of factory workers in more than 300 Industrial Parks across 30 economic zones in Veitnam. Many of these industrial parks house factories that employ manufacturers of many FDRA member brands. all FDRA member representatives are invited to attend the opening ceremony of the Early Learning Center on September 14, 2017, in Danang. OneSky seeks grants, donations, and in-kind contributions from major footwear brands to outfit the children and their caregivers at the OneSky ELC. OneSky needs footwear (e.g., sneakers, slides, sport and water sandals, slippers and socks) for the children and their caregivers.